The Orange County Register welcomed Anna Bourland into its newsroom this week to manage the @OCReggie Twitter account for about an hour. Here is how the idea was born on Twitter. At this point, I turned to Sonya Quick (@sonyanews) who leads the social and mobile efforts of the Register’s newsroom, and asked if she would be alright with actually bringing Bourland in to handle the @OCReggie account. Sonya loved the idea, and we headed over to Roxanne Hack (@roxannima) who was managing the Reggie account at the time and she delivered the good news. Here is the wonderful Anna Bourland (@abourland) after her visit with the Register. Thank you Anna! It’s nearly impossible to find out how many times a web page has been tweeted. At 11:45 Thursday night, I gathered these numbers to help explain what I mean. A Mashable blog post about Bit.ly was tweeted 12 times (as of 11:45 Thursday night). At least that’s what the official Twitter button widget said on the post itself. I clicked on that 12 button, which brought me to a Twitter search for tweets linking to that page … and I counted 73 tweets, not 12. I randomly pulled up one of those tweets, and checked out the statistics provided by bit.ly. Scrolling down the page to “conversations” revealed 99 tweets, not 73 and certainly not 12. Armed with my BackType bookmarklet, I decided to go to a fairly unrelated source for some numbers. Oh no, the BackType page for that Mashable post, showed a whopping 794 tweets. 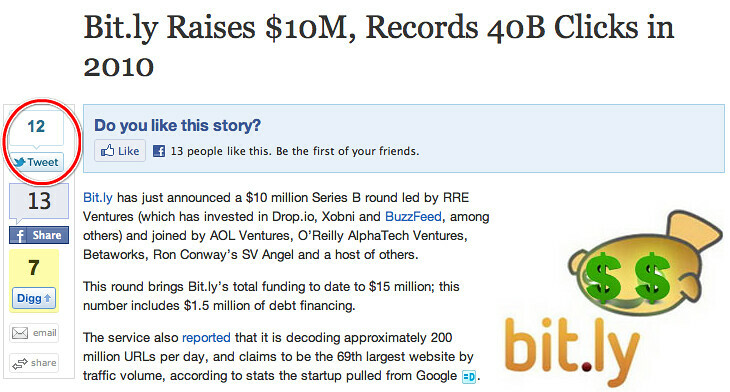 That’s more than four times the tweets counted by Bit.ly, Twitter search, and the tweet button combined. When Twitter rolled out its own tweet button, they partnered with Tweetmeme, creators of the old “retweet” button. I wanted to see what the veteran service had to say. 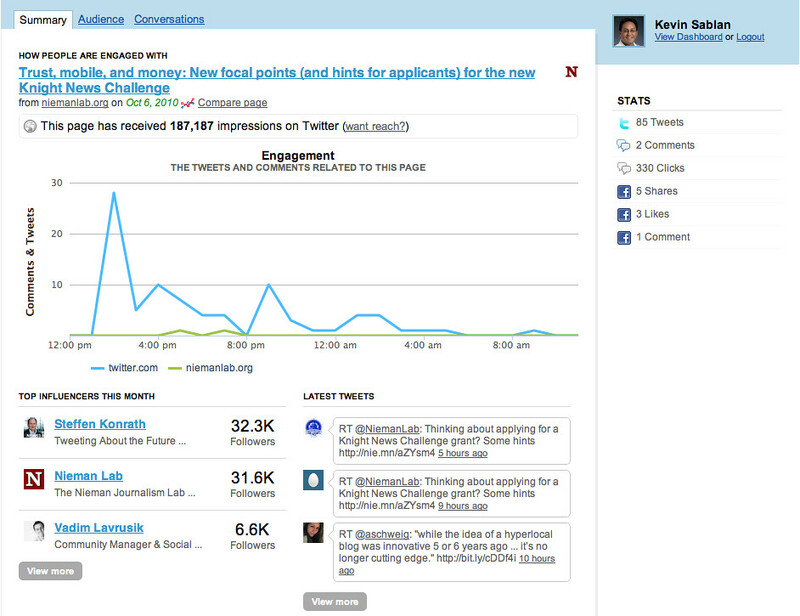 The Tweetmeme search for that Mashable post found more tweets than any of the other methods: 898 tweets. Yes, this is only one example, and a very non-scientific experiment. But I performed this little exercise because I see these discrepancies all the time, especially with popular posts/pages. Of course, one anecdote doesn’t prove that all counters are wrong, but with so many services disagreeing on one simple number, I simply can’t bring myself to trust any of them to be right. One service might be able to provide the one tweet count to rule them all. 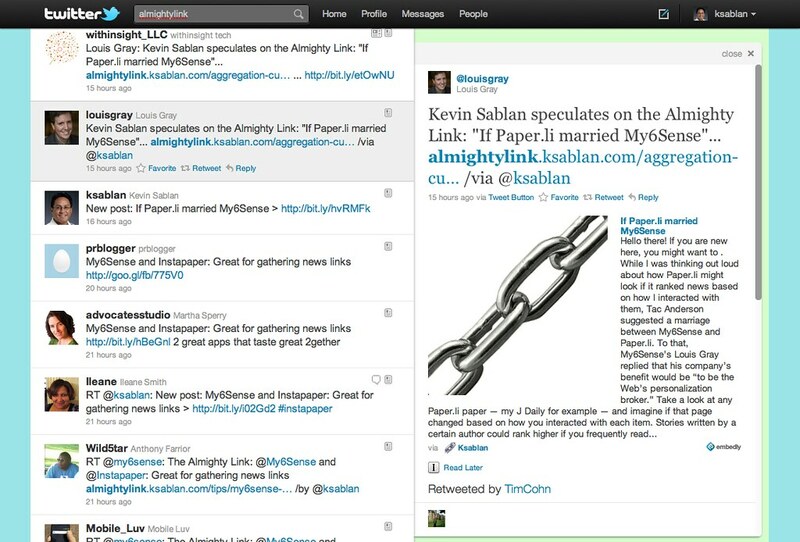 Sometime this year, Twitter plans to wrap “all links shared on Twitter.com or third-party apps” within its own t.co URL. It will become part of the Twitter infrastructure. If Twitter can aggregate the many different URLs that are used to share a single web page, then it will be able to provide an accurate count of tweets linking to that page. Twitter will also track clicks on those links. If I were in there shoes, I would consider charging for those t.co statistics. I created this BackType bookmarklet to quickly measure the reach of articles and blog posts in social spaces. Drag this button BackType Stats to your browser’s bookmarks tool bar. If you are using Explorer, make sure your “Links Toolbar” is showing, then right click on BackType Stats, click “Add to Favorites” and save the link in your “Links” folder. Now, when you’re viewing any web page, just click on the “BackType Stats” button to see how that page is being shared and discussed on Twitter, Facebook and reddit. Take a look at BackType’s analysis of a post about the Knight News Challenge by The Nieman Journalism Lab.